While the magnificent country estates of England are awe-inspiring for their grandeur alone, they’re also remarkable for the breadth and depth of stories they tell about everything from the architects who conceived of them to the families who lived in them. Now imagine being able to take a peek inside these houses by visiting their design pattern books. These “time capsules” of days gone by are the subject of The Great English House Series at Newport’s Redwood Library & Athenaeum. Let’s take a closer this fascinating talking series, along with highlighting the important role the Library continues to play in American history. Sponsored by Freeman's, America's oldest auction house, The Great English House Series offers an up-close-and-personal glimpse into the history of four extraordinary country homes led by award-winning architectural historian John Tschirch. The series kicked off on Wednesday, August 24 with a fascinating examination of the Elizabethan pageantry of Hatfield House. Missed it? You’re in luck: You have three more chances to immerse yourself in the splendor of these English heritage sites. It will be followed on Wednesday, September 14 by “Chippendale Masterpiece: Dumfries House,” considered today to be one of the world’s most perfect examples of Chippendale design. Each lecture takes place at 6:00 pm at the Redwood Library and Athenaeum preceded by a wine and cheese reception at 5:30 pm. 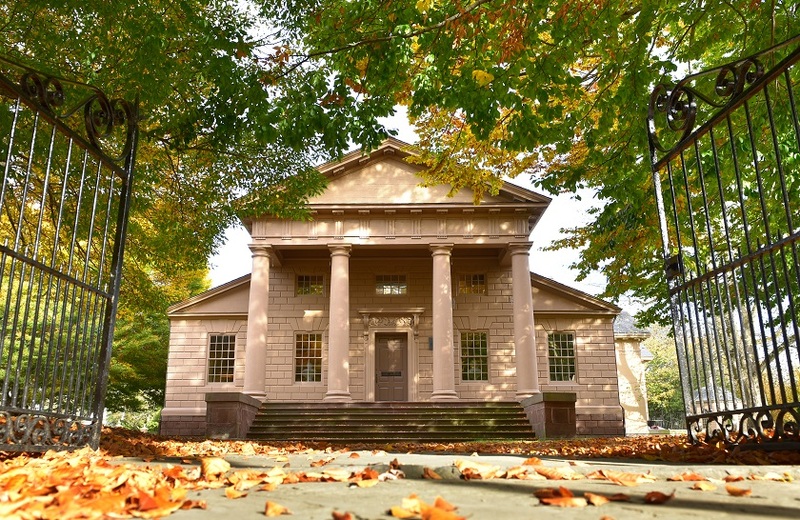 Newport’s Redwood Library and Athenaeum holds a distinctive place in American history -- well, technically American prehistory, given that it was established before the birth of the nation. Not only was it Rhode island’s first lending library, but Redwood Library and Athenaeum remains today as the country’s oldest lending library and first lending library building. In fact, the Library is in itself an architectural marvel thanks to colonial American architect Peter Harrison’s visionary concept and design, which caught the eye of a visiting Thomas Jefferson, who then championed it as a model for public buildings in the new Republic. Nearly a century and a half later, the Redwood Library and Athenaeum's profound significance is not only unchanged, but reinforced by programming aimed at connecting the richness of the past with contemporary life. Tickets for The Great English House Series, which are $25 per lecture or $75 for a series pass, can be purchased here.